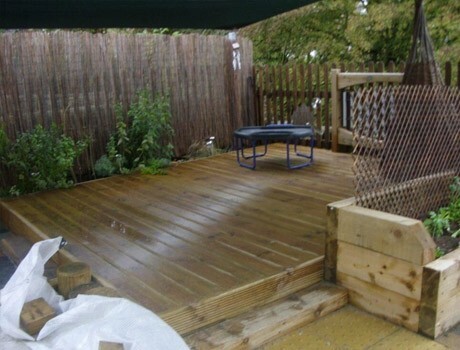 This project was procured through a tender process with a design brief provided by the client. 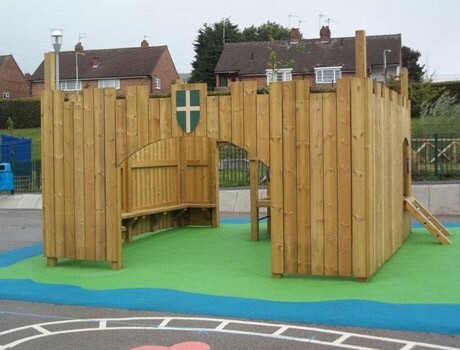 The play area design was to include climbing activities and role play items for the nursery and reception area. 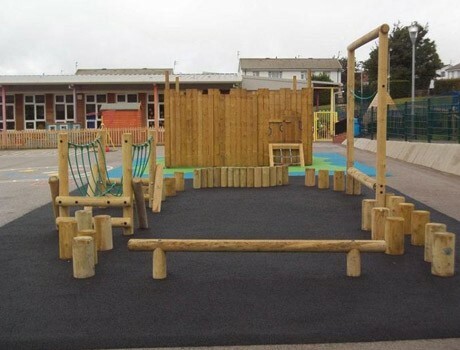 The KS1 area was to be a natural progression from the nursery play area and required more challenging climbing equipment. 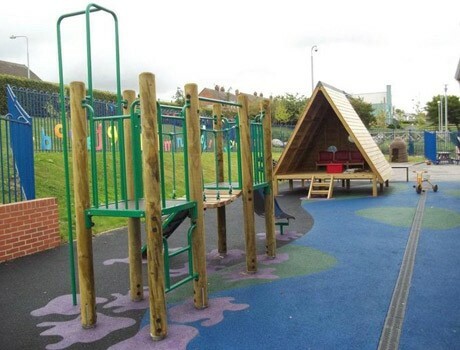 Pennine’s design team included a low level timber multi activity unit for the Nursery/Reception area comprising of a slide, linking bridge and platforms, firemans pole and climbing activities. 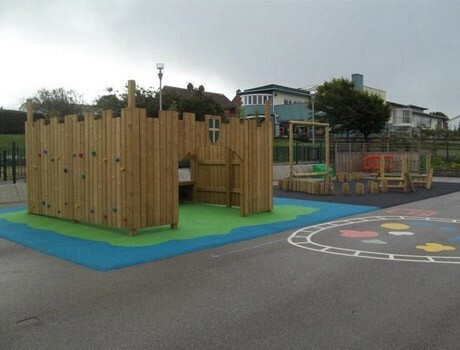 The multi unit was installed into an area of existing wetpour safety surfacing to save costs, with each area that was disturbed by the installation receiving a coloured wetpour graphic splash. 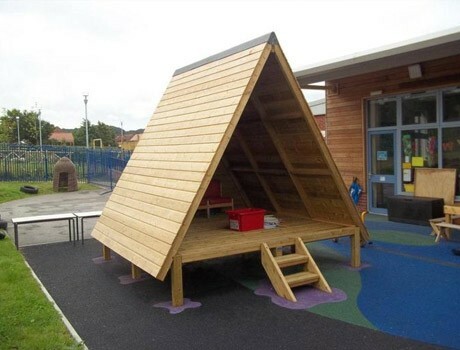 A Timber Forest House was also included within this play area for imaginative, role play and den making activities. 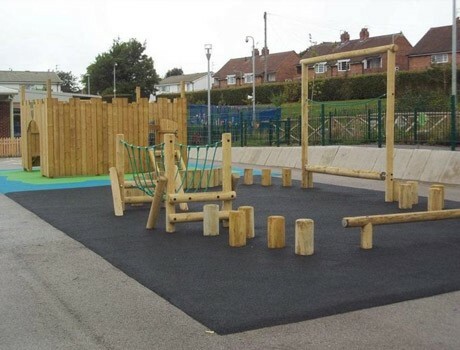 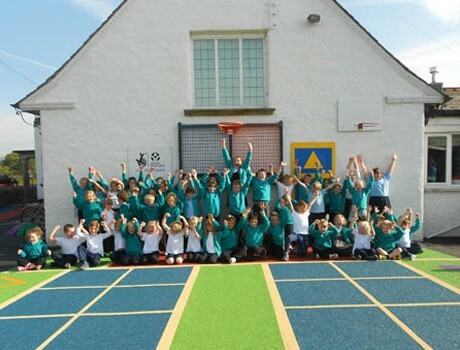 The KS1 play area was also transformed with a challenging Pennine Timber Trim Trail which was installed into the existing area of tarmac and black Flexiplay wetpour safety surfacing was then laid around each play item. 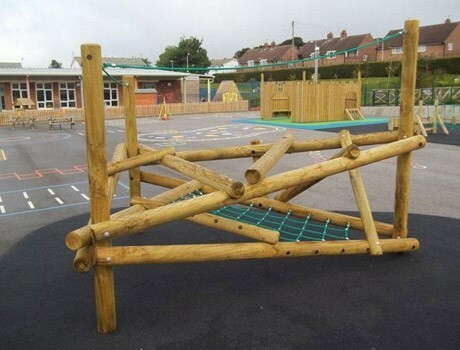 A hugely popular Timber Clamber Stack was also installed for the KS1 children which featured clambering log challenges and rope climbing. 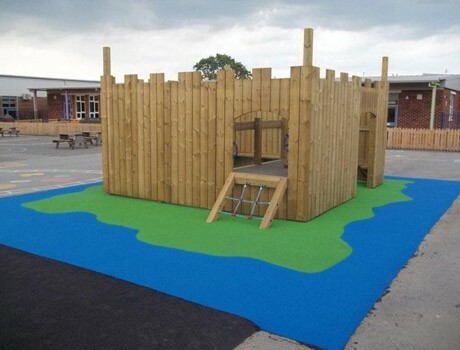 The wetpour safety surfacing laid to this item was in full colour to give the impression of land and water to the unit.